People are creative when it comes to all sorts of different things but it gets really interesting when it comes to thinking of a way to hack the system! This is when the real geniuses stand out from the crowd! As you are about to see, people can bend the rules in numerous different ways and situations. The list may actually give you an idea or two, who knows? 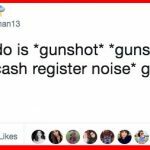 Enjoy these funny images! We need to admit that this person probably went a bit too far. Of course, their desire to do something particular cannot result in any damage, but we guess it has a bad side when you look at the situation from a different angle. 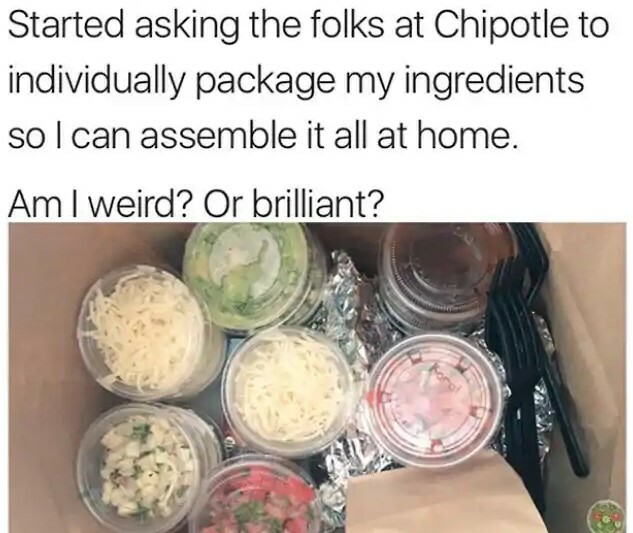 Sure enough, it might be convenient for some people to assemble their salad at home and enjoy it as fresh as possible, but the employees at Chipotle probably don’t like that particular customer at all! There is also a lot of plastic involved. We believe that people should always be fair to others, especially when it comes to an audience or a group of admirers. Such people always trust the person they are gathered around. In some cases, however, they all get tricked. Even if there are no actual consequences for them, it is still not a nice thing for someone to do. 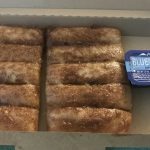 This person tricked his followers on Instagram by editing the original post and probably deserves to lose these followers. As the caption suggests, this really is a classic case of reverse psychology! The whole situation seemed pretty straightforward for the professor and he did not suspect a thing. From his point of view, this student was only a person who tried to avoid disappointing her parents, that’s all. 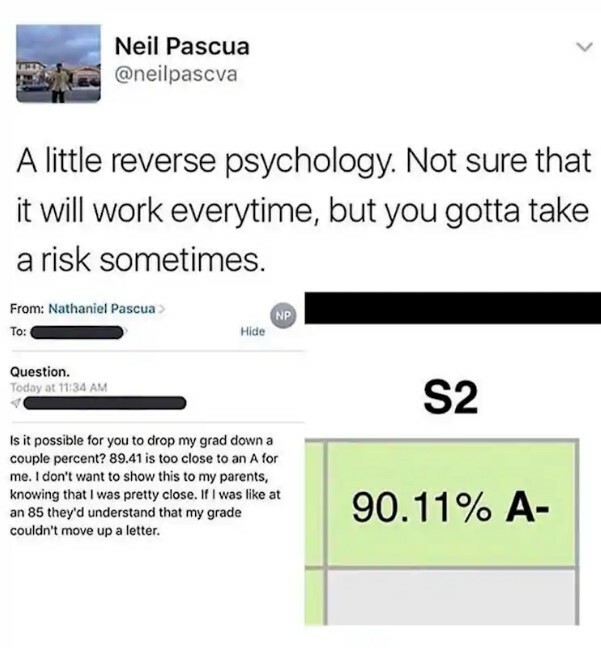 Well, she did the oldest trick in the book and knew that if she played her cards right, the professor would actually give her a little boost to get that A-. We always thought that people who are practical and smart can go really far in life! They always make the most of every situation which is admirable! 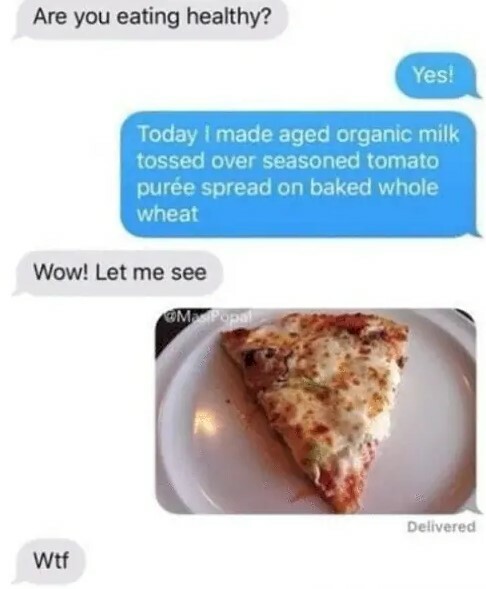 As you can see, this person definitely did that! 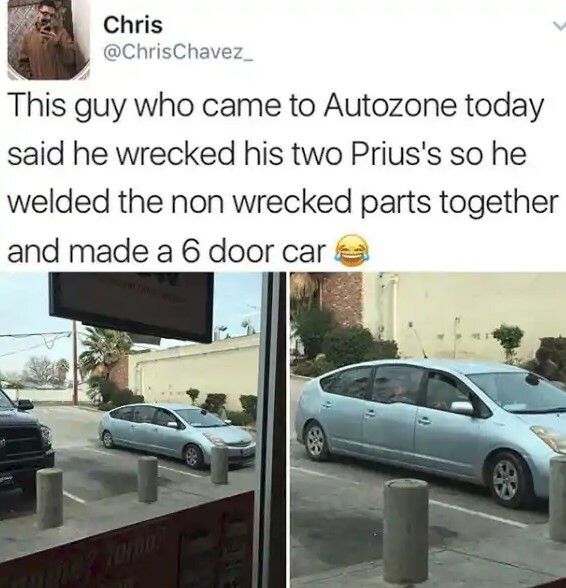 He reportedly had two wrecked Toyota Prius cars and he figured that he could make something interesting out of them! He definitely pulled it off, because this is the first Prius stretch limo we have seen and it is probably the only one in existence! The fabrication work seems to be okay as well. We guess that simple problems require simple solutions and the trick is to find at least one of those solutions! This is where the people with practical skills always show what they are capable of. 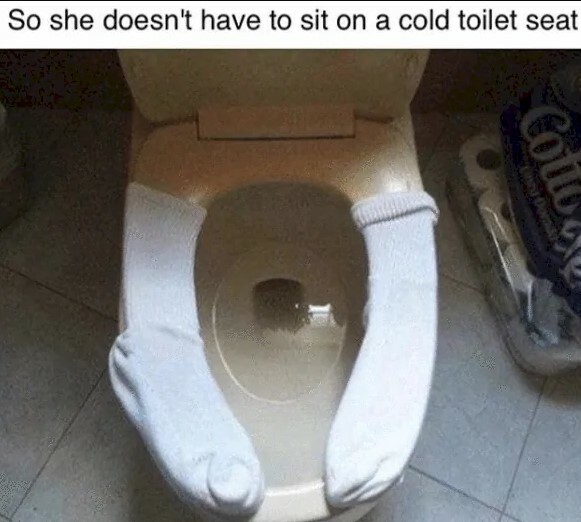 As you can see, the cold toilet seat issue was solved by using a pair of socks! It is actually a brilliant idea! All that this setup needs is probably a set of rubber bands to secure the socks in place! Otherwise they could easily slip down and clog the toilet. In some cases it is not hard to guess if a child has a bright future ahead of them! All it takes is a situation or a problem which the child needs to solve. This example is the perfect way to explain it! 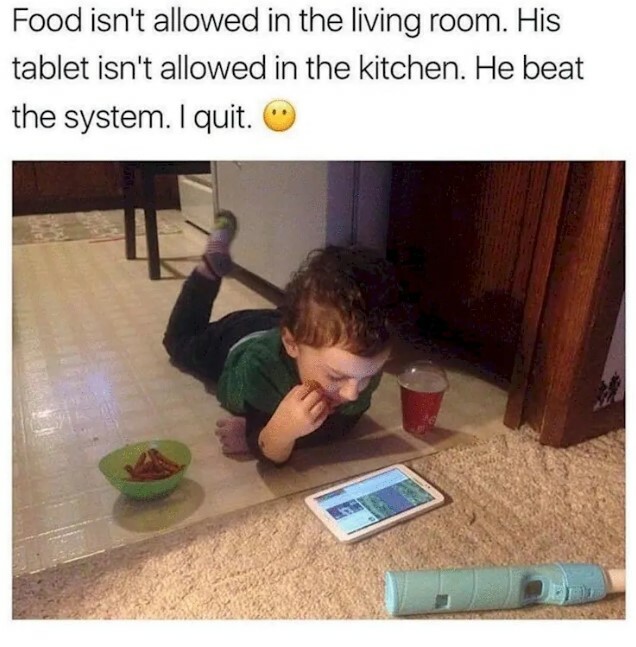 Since this kid’s parents did not allow him to bring food to the living room or take his tablet in the kitchen, the smart boy decided to show them how things are done! 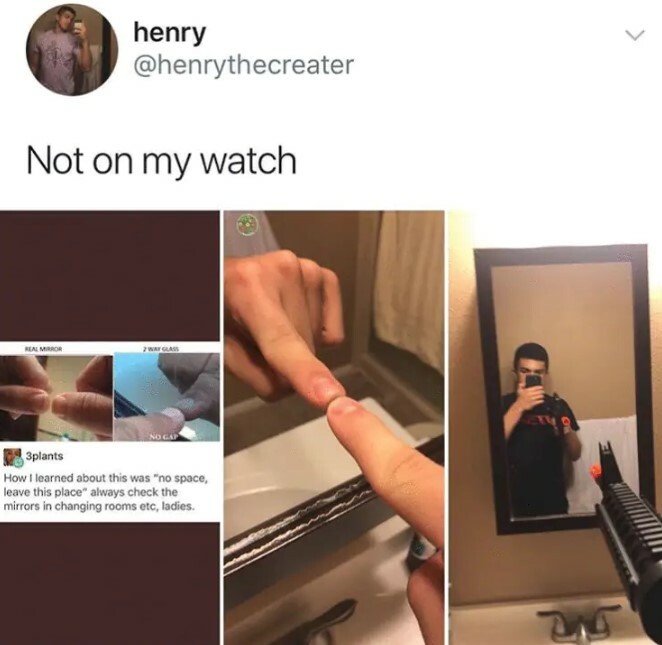 He thought of the only possible solution to the situation without breaking any rules! Here is a proof that no matter how old people get, their ways of getting out of a situation remain the same simply because they depend on the personality! Of course, the experience is definitely welcome, but the attitude is all that matters! This clever mom needed an excuse to take the day off so she asked her daughter to play along. The two actually pulled it off in a brilliant way! 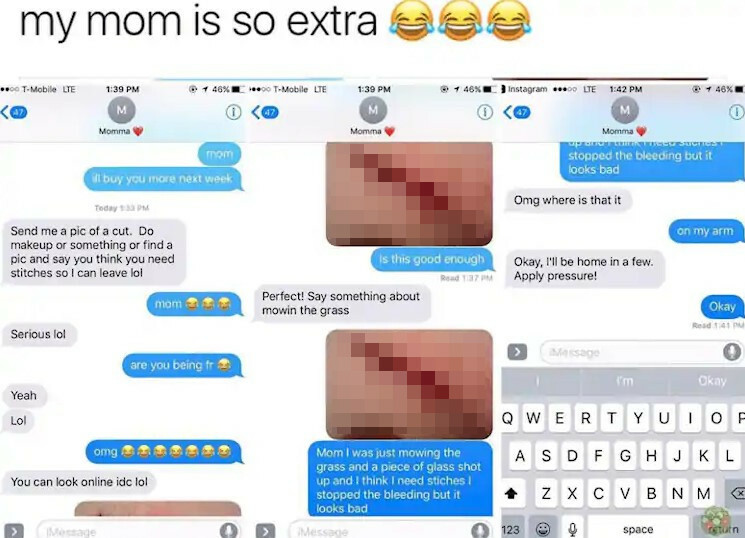 The mother probably sent her superior a screenshot of the conversation and it was more than enough of an excuse for her to leave immediately! 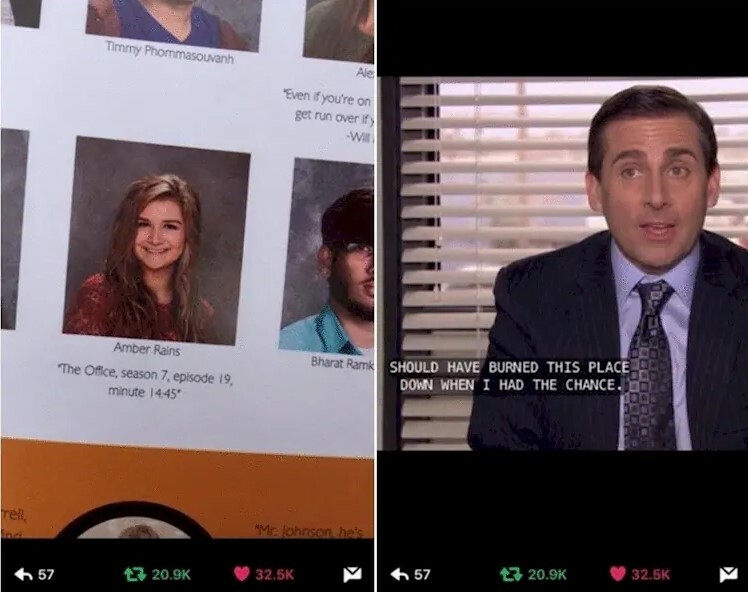 One of the things you are not supposed to write in the yearbook is a negative or an offensive line. Of course, nobody would do that except there is a lot of sarcasm involved. Of course, it would still not be allowed. This girl, however, was able to go around that rule and she technically did not say anything negative, but she left a clue that was fairly easy to find! Whoever looked up that exact minute of the TV series probably had a good laugh, just like we did! The power of speech is undeniable! Even when the conversation is not in person, the right choice of words is still essential in order for someone to achieve a certain result or to get what they want. As you can see, this person was asked if they ate healthy foods. The answer was technically correct, but nobody would suspect that the person was referring to pizza! We love the way it was described, and the other person probably remembered this situation for a long time. You have probably seen this kind of clamps before, right? Well, there was no way we were going to associate them with Cheetos if we were asked to! However, there is something in common between the two! 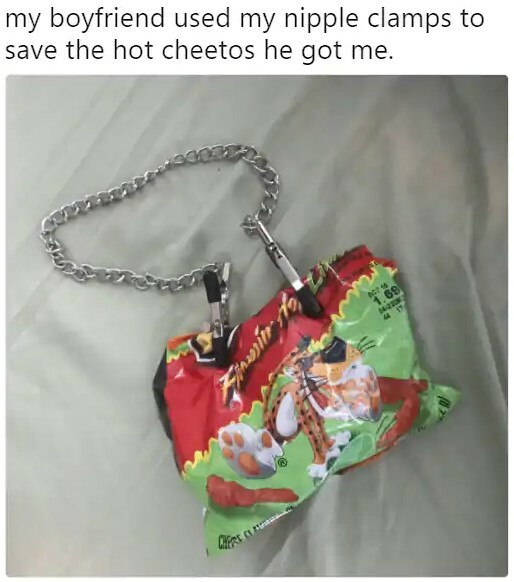 One boyfriend did what he needed to do in order to preserve the hot Cheetos he got for his boo! It seems that his girlfriend was really impressed by his creativity and shared what he did on social media. He obviously really cares about his girl! We need to say that we were more than impressed by this! Just take moment to see the process of making this thing happen and you will be impressed, too! The idea behind this was more than clever and we guess whoever came up with it has an engineering future, or maybe they could apply for a job as an undercover agent! The setup look amazing and nobody suspected a thing. 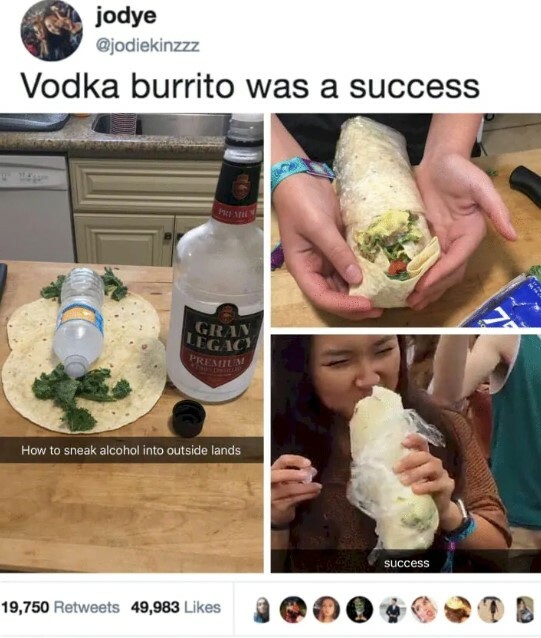 Of course, it would be awkward to see a person literally drinking a burrito but we guess once the person got inside where she wanted, nothing else mattered! What better way to let people know that you are available and currently looking for a job than putting up an actual billboard? That’s right; nothing says ‘give me a job’ like actually writing that very line on a billboard next to your face and website! We guess that Adam probably has quite the skillset listed in his website, but we would hire him only for his creativity and bravery to make this step! Instead of submitting CVs all the time, he actually did a campaign and this speaks a lot about the man. 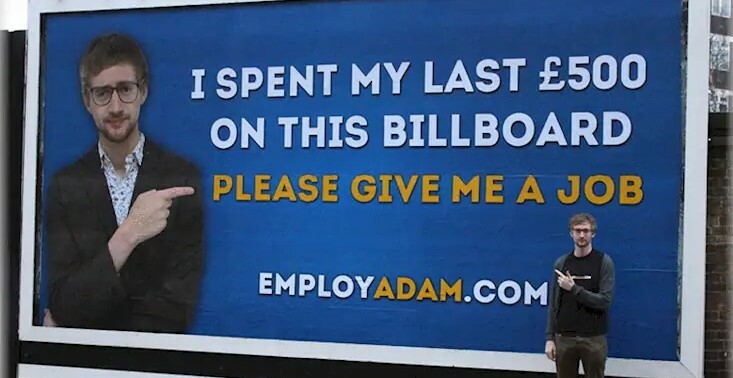 We hope he secured his dream job shortly after he set up the billboard. People say that you never stop learning and we guess that is the truth. You learn new things every day an even if you think you know it all, you are likely to be surprised by a new piece of information. This is what we learned today! 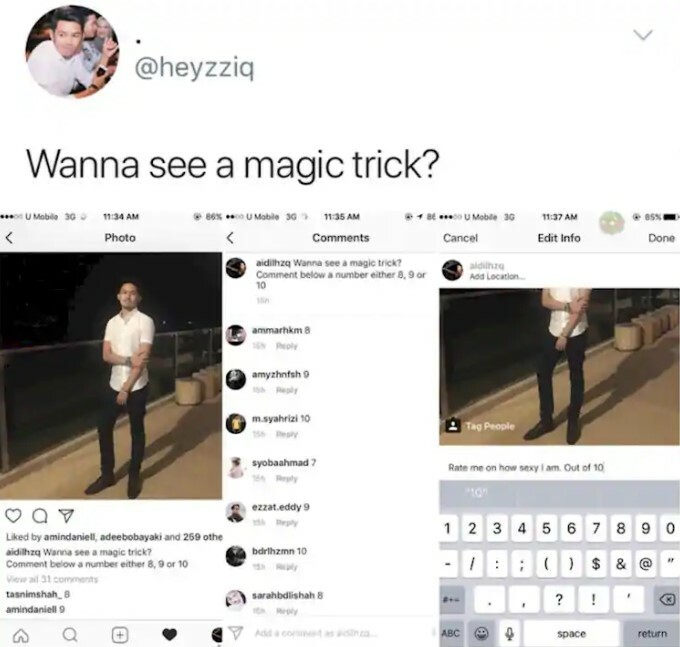 We never thought that a simple trick like that could reveal something rather creepy. As you can see, one person decided to share the easy way of knowing whether you are standing in front of an actual mirror or a double-sided glass instead! We believe that knowing this might actually save many people from being exposed without them realizing it! We would always check the mirrors from now on regardless of where we are! We guess that a sharp mind capable of quick thinking could save a person from any kind of disaster. In this case, the disaster was not going to lead to bad results, but we all know how bad it feels to be soaking wet! 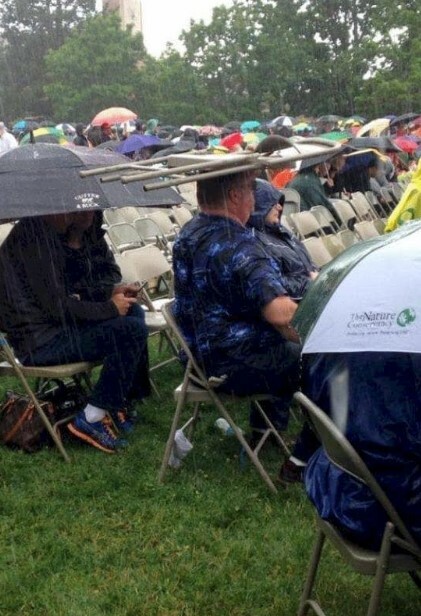 The pouring rain caught this man unprepared, but he refused to give up! As you can see, the most effective solution was also the most obvious one! He grabbed a chair and that was it! It turned out that the folded chair was a good enough shelter to keep him partially dry during the pouring rain.